Obviously when you’ve been doing something like talking for as long as you have, of course you have got to be good at it. It’s a no brainer. It’s talking. Do it every day, with hundreds of people. You can probably talk a person’s ear off. Reality check: There is a significant difference between talking and communicating. Just because you know how to do something doesn’t mean you do it effectively. Talking takes little effort, has few boundaries and no pretense. Communication comes with intention, has definable standards and makes all the difference in any relationship. Hygienists think they communicate everyday and yet when asked what is the most challenging thing about dentistry, many of them say, “team communication!” Communication is a complex and delicate process. To say one communicates with others and then still complains about the level of miscommunication says something about the kind of communication occurring and its effectiveness. Also, when a dental team is dysfunctional, it’s often due to the level of acceptable communication between team members. Don’t fall into the trap of settling for less than optimal communication. There are ways to learn communication techniques around common issues that better the team, increase patient care and make the work environment pleasurable for everyone. How Does Communication with the Doctor Work in Different Offices? Working in a variety of offices requires an RDH to be highly versatile in their communication styles. Some doctors are direct and assertive, others passive and introspective, and still others are quiet and non-communicative. An RDH has to be able to navigate through a multitude of conversations with their clinical partner in order to offer comprehensive and exceptional patient care. It’s not always easy. It is always necessary. Don’t be offended by “why.” Doctors ask themselves why all day long. It’s their go-to tool for problem solving. It’s no wonder when they ask why questions of their team. The word why as a question requires a person to justify. For example, “Why did you think that patient needed SRPs?” Or, “why did you tell the FD to put that patient on your schedule?” Even in the sweetest and softest of tones, the message puts the listener on the defensive. With most doctors being analytical thinkers, them asking why is more about problem solving and seeking to understand than wanting to offend. How Do You Deal with Passive-aggressive Co-workers? Stay calm. Passive-aggressiveness comes from fear. Fear of conflict, fear of not being liked, fear of change, challenge, showing weakness, and on and on. Considering the person you are dealing with is fearful, it’s important not to overreact as it perpetuates the behavior. Stay calm and before you respond, take a deep breath, tell yourself to relax, and think about what you want out of the conversation. Stick to facts. Focus on facts, not feelings. Facts include all of those elements of a situation that are trackable, observable and measurable. Even though your feelings are important, they are not always relevant. How Do You Deal with Gossip? Gossip is a bad habit that can be highly destructive to dental teams. Through gossip, teams become fractured, people are singled out and ultimately communication breaks down. 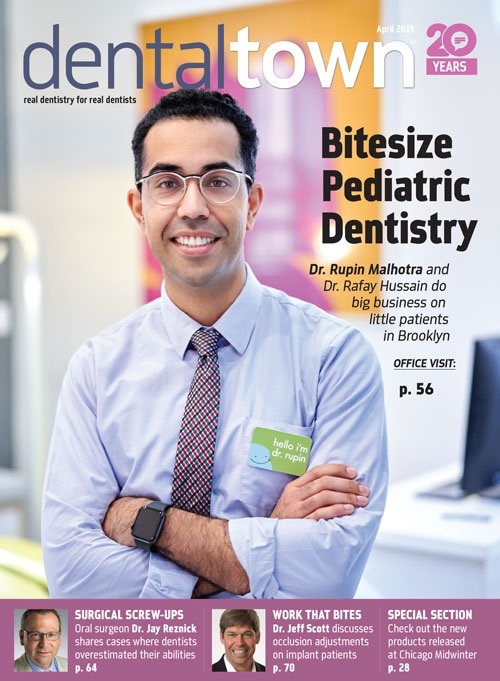 In a dental office, every team member has an important and specific role. When one feels out of place, there is much more lost than relationships. It comes directly down to patient care. Refuse to be drawn in. 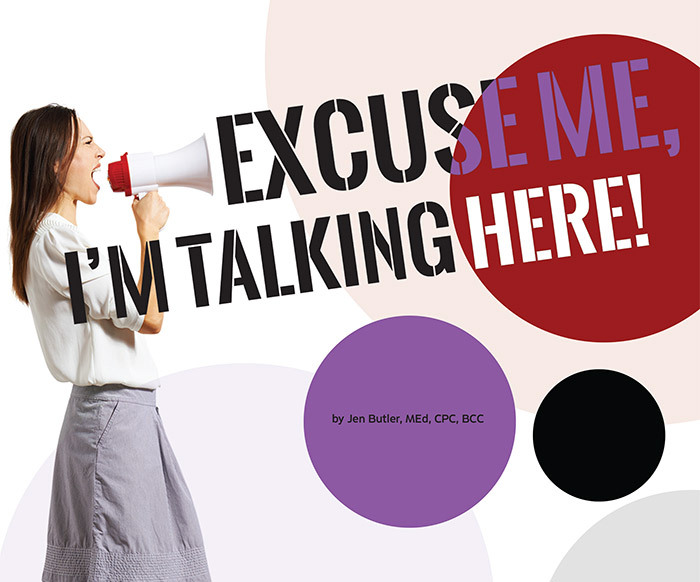 If a team member begins to gossip, immediately excuse yourself from the situation. Even listening to the gossip validates the person’s behavior. How Do You Approach the Doctor with a Concern? There are going to be issues that come up between hygienist and doctor. That’s normal for two people working together. What’s imperative is that the concern doesn’t turn into something greater like a problem or rift. Address it early so you can keep it small and manageable. Think it through. There are several questions that are important to think through before you approach the doctor with concerns. Some are: Why is this a concern? Why bring it up now? What do you want to happen? What don’t you want to happen? How does this relate to the dental practice team or the patients. Set parameters. The most productive conversations are ones with parameters. For example, set time limits on the length of the conversation. What happens if you get off track or interrupted? If all parties felt great after having the conversation, what would be addressed or satisfied, and what does the follow-up look like? Resolve one at a time. Dumping everything out onto the table makes it difficult to focus and problem solve because the shear mass of emotions attached to each concern is often too much to manage. Keep everything focused by discussing and finding solutions to one concern at a time. How Do You Settle a Conflict? When people work together there is going to be conflict. And as some would be surprised, conflict is extremely healthy in any kind of relationship. Our relationships actually deepen as a result of conflict, if handled correctly. Name the problem. Consider this. What we often think is the problem is actually not. The problem is typically a bit deeper. When you fix the right problem, everything else falls away. Acknowledge personal contributions. Conflict occurs between two or more people. Which means some how you are part of the issue. Before approaching someone to settle any conflict, be sure you know what role you’ve played, what you need to change and possibly what you might need to apologize for. Know what you want (what you really, really want). Looking to resolve conflict without a clear direction of what your ideal outcome is wastes precious office time. Having a resolution conversation without outcomes really is just a gripe-fest and a waste of energy. How Do You Work with a Friend? One of the best things about a dental office is the kind of people that work there. It’s no wonder team members often start out friendly and turn into friends. As much as it can be great to work with people you’re close to, there are cautionary lines to remember. Set boundaries. Clear, defined and unconditional boundaries are necessary for friends to work well together. For example: what to do Monday morning if a weekend spat occurs, don’t show favoritism, (what you do for your friend you do for all your teammates), etc. Hang with others. When at work, associate with other coworkers more than each other. It builds over-all team bonds, shows others you are committed to the team as a whole and gives you the necessary break every friendship needs to be successful. Stay professional. How you act, treat, communicate and partner with other teammates is the same consideration you show your friend. Under no circumstances should any personal interactions happen that wouldn’t happen with everyone. If professional lines are crossed, it’s time to go back to the first point and set boundaries. How Do You Work with Someone You Don’t Like? It’s normal to have varying levels of like and dislike with the people you work with. How you manage it and work together in spite of it is the key. Know why. When you know why, you can do something about it. Not doing something about it isn’t an option. Consider the whole person. Every person has something that isn’t a likable element of their character. Every person. To not like someone based on a select few traits is highly judgmental and narrowed-minded. Dental teams are most successful when they can articulate everyone’s strengths and navigate everyone’s weaknesses. Move on. If there is someone who really pushes your buttons, find a way to get over it. It’s not for you to fix them or help them change. You not liking them is your issue, not their issue. Jen Butler, MEd, CPC, BCC, has been working in the area of stress management and resiliency coaching for more than 20 years. She is available as a coach/consultant, speaker and trainer. To learn more about her services and sign up for her monthly stressLESS newsletter go to www.jenbutlercoaching.com. Take the Dental Stress Self-Assessment at www.jenbutlercoaching.com/quiz/ to find out your stress levels. Her partnership with The Business Backer removes any financial barrier so you get the support you deserve. Go to www.thebusinessbacker.com/JenButler or contact Jen Butler directly at 623-776-6715 for more information.